Gyda in Old Norse means as much as 'goddess' or 'beautiful', and is therefore a most fitting name for the garment and the wearer. 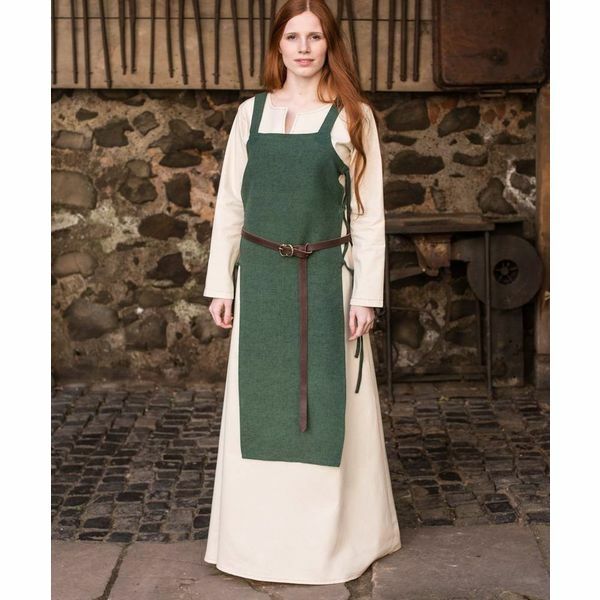 The shoulder straps are an authentic and frequently used element of medieval women's clothing, giving the dress an elegant and feminine appearance. 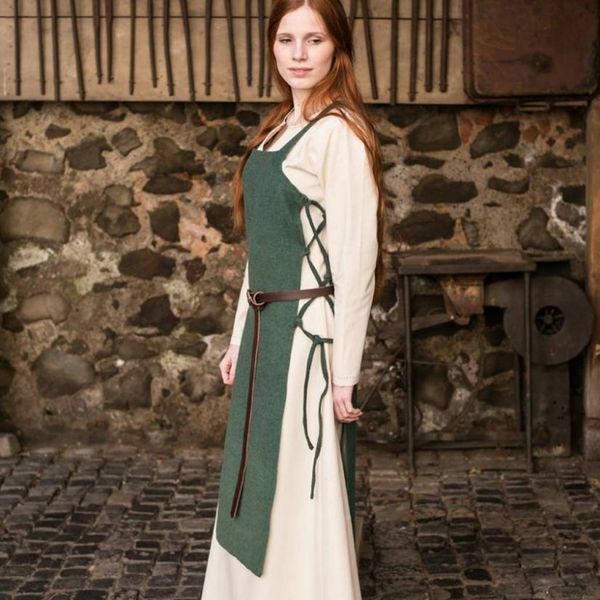 The laces on the side enable the dress to fit as well as possible. 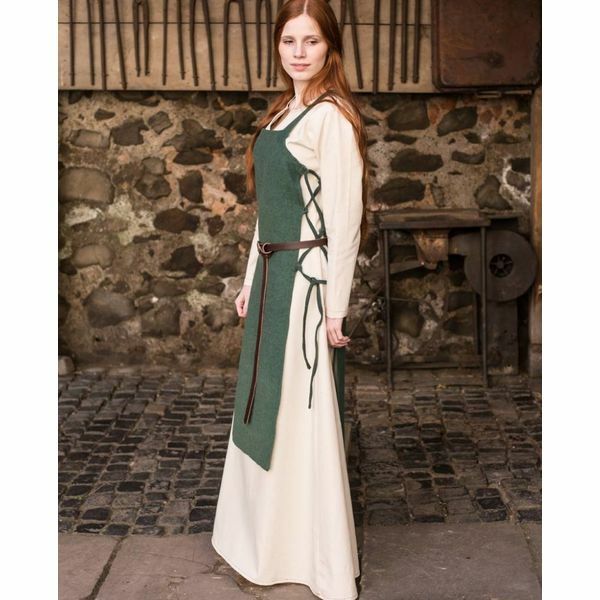 The Gyda surcoat can be combined with another color dress, for the best Viking look. 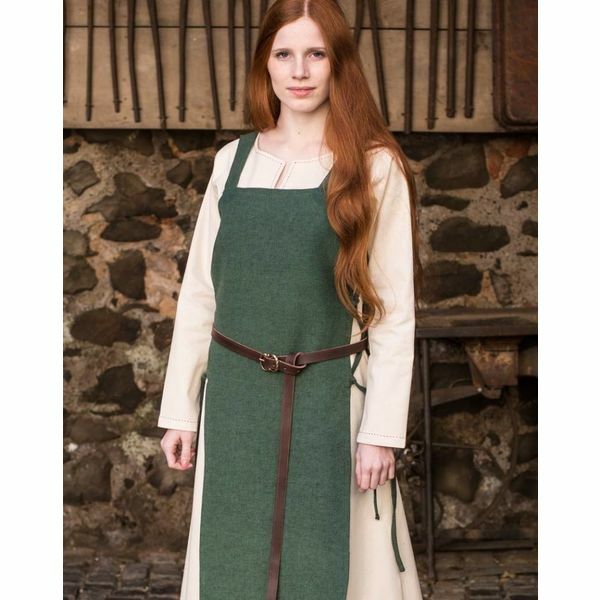 Fabric material: 100% rough unwoven cotton.